Contrary to public opinion, you can judge a book by its cover, and Northland specializes in making you look good! 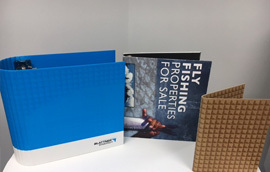 From a wide variety of vinyl and poly plastics to rich looking linen book cloth, or offset printed litho label to luxurious bonded leathers . . . we’ll put the perfect face on your presentation! 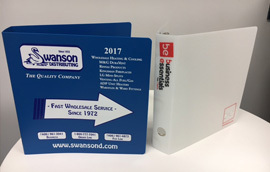 Ring binders, pad holders, menu covers, job jackets . . . all custom made and all decorated with your special graphics . . . screen printed, foil stamped or debossed. If you can picture it – we can produce it here at Northland. 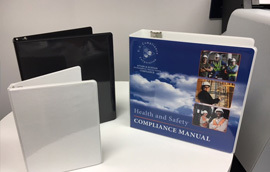 Northland Binder Products manufactures custom 3-ring binder products. 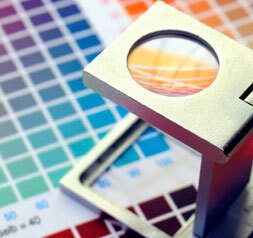 Northland Litho Services provides specialty litho and UV finishes to the litho trade. 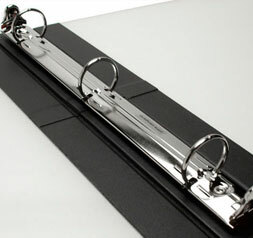 Since 1987, our years of industry experience have guaranteed the satisfaction of our customers' most demanding needs. Our 43,000 sq ft. building is located in Maple Grove, Minnesota. 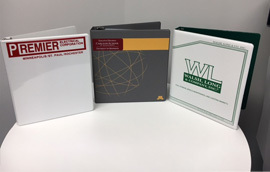 Because Northland provides both litho services and binder products, we have become the one-stop shop for specialty coating needs throughout the Midwest. Northland serves printers by adding the litho "bells & whistles" that set a project apart. From film preparation, scheduling, and screening Northland excels in careful production and high-quality work. This is what keeps you coming back again and again. We don't keep our customers waiting. When you schedule a job at Northland, we pull out all the stops to ensure a timely return. Real people answer the phone, real people discuss your project, real people provide estimates and real people check your artwork and address your concerns. © 2015 Northland Binder. All Rights Reserved.